It takes a village to accommodate the 60,000-plus enrollment of the University of Central Florida, the second largest school in the country. NBA collaborated with American Campus Communities to create a vibrant mixed-use community where students can live, dine, shop, work out and socialize. 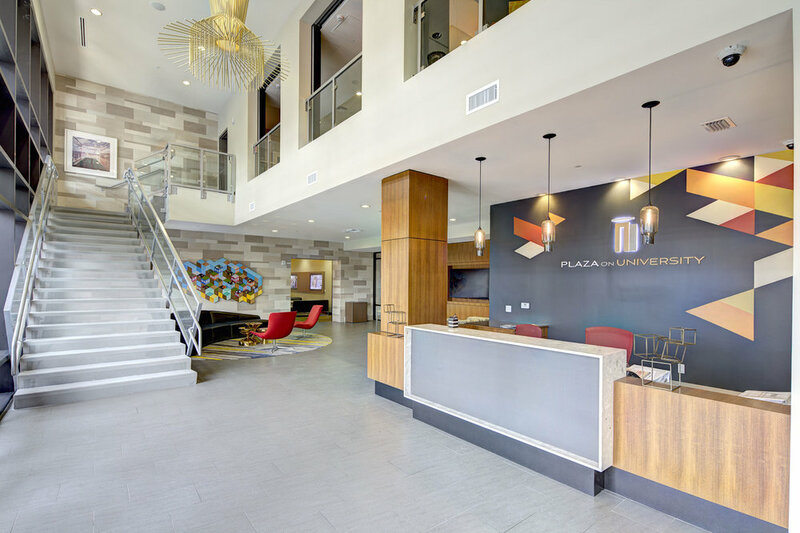 Conveniently located at the gateway to the campus, The Plaza provides 364 units of off-site housing plus 64,000 square feet of retail space. 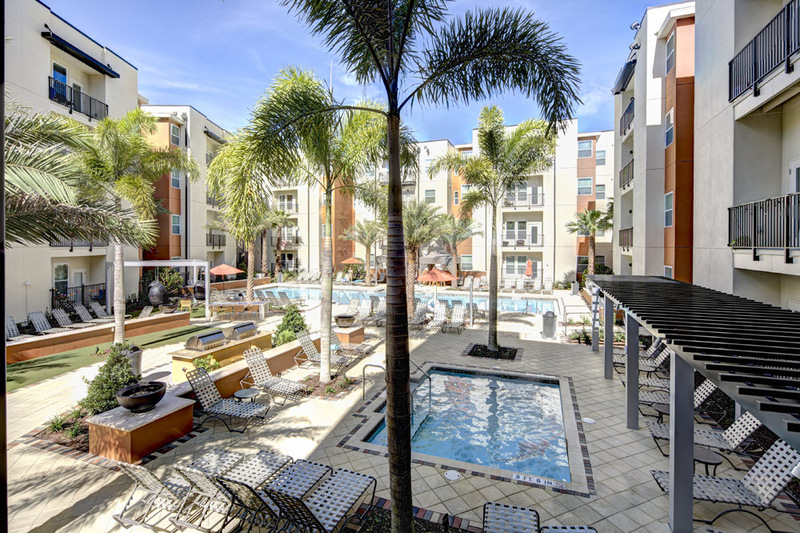 The citrus colors of the Sunshine State accent the building facades, and the expanse of transparent lower floors and open pathways encourage a mix-and-mingle atmosphere.